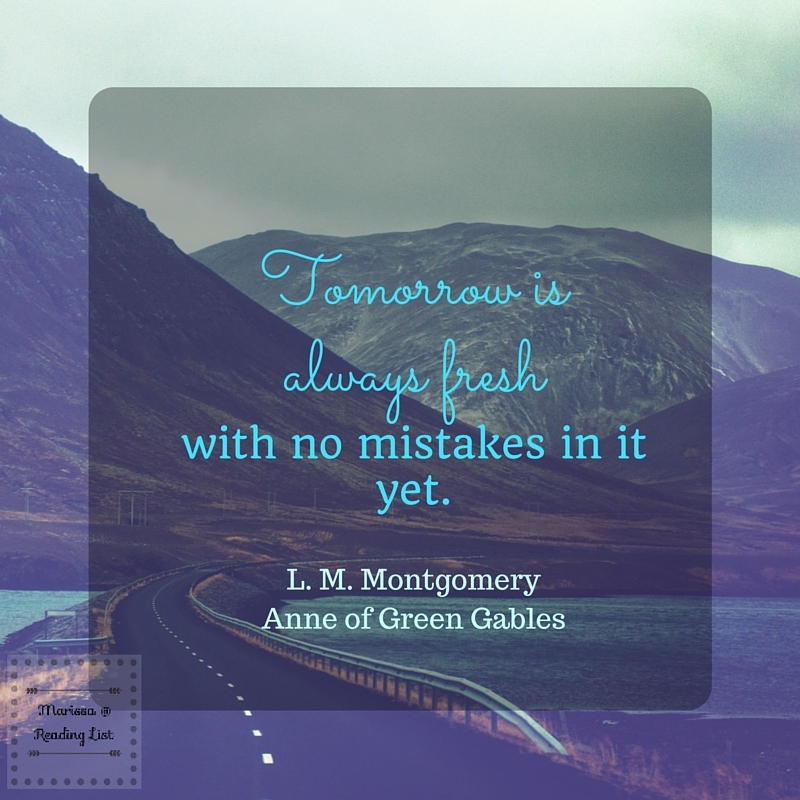 Hands down Anne of Green Gables is my all time favorite book series. It might be the standard I hold all other books against on some level. And this quote is one of my all time favorites from Anne. She is always optimistic about the future no matter what her circumstances are... well she tries to be anyway. 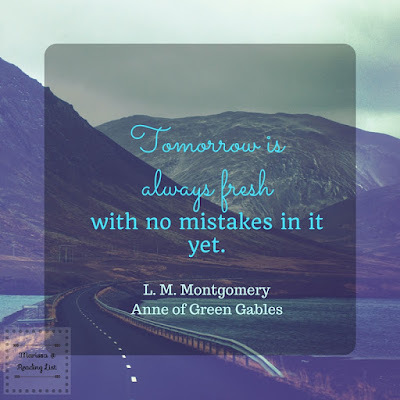 The frustration that can come when life isn't working out the way we had hoped can be hard to overcome, especially as spring brings flowers and sunshine into our lives, so this quote is the perfect thought to help us all look to tomorrow and try again. Now here we are at the end of another month. April flew by for me - what about you? Maybe it has something to do with May approaching and that month is always crazy busy with the end of the school year and programs and such. Just in case you like to hear about research, The Reading Room shared the findings of what happened when UK Doctors Start Prescribing Books to Teens with Mental Health Issues. This quick read will make you want to get your kids on a great path to enjoying books and reading. Caitlin says, "In order to raise readers, you must expose your children to a variety of positive reading experiences early on and often. These early experiences will foster a natural love of the written word. " in her post on the Top 10 Place to Read Aloud with your kiddos. I hope you found a thing or two from that list that caught your eye, maybe you could reserve a book at your library, or add to your Goodreads to-read list. 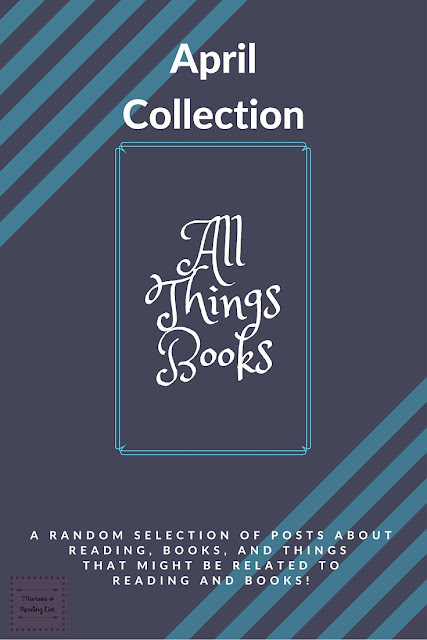 If you want some encouragement as you find books you love, please join our group on Goodreads, we'd love to be there as you fall in love with books. Please consider seeing yourself as a lover of books, and join in the goal of finding a book you love each month this year... That means now you only have to read 8 books! What was your favorite from the round-up? What would you add? Is there something you want to see in May's round-up? Leave me a note about anything to do with your book choices from April!